Everyone is a part of a family. Whether that's a husband and wife, empty nesters, expecting parents, single parents, those who are waiting to meet the spouse God intends for them, a group of close knit friends, and the list goes on. But in a world of busyness and too little time, the family can easily lose connection and find themselves without a sense of unity. That's where The Strong Family Project comes in! 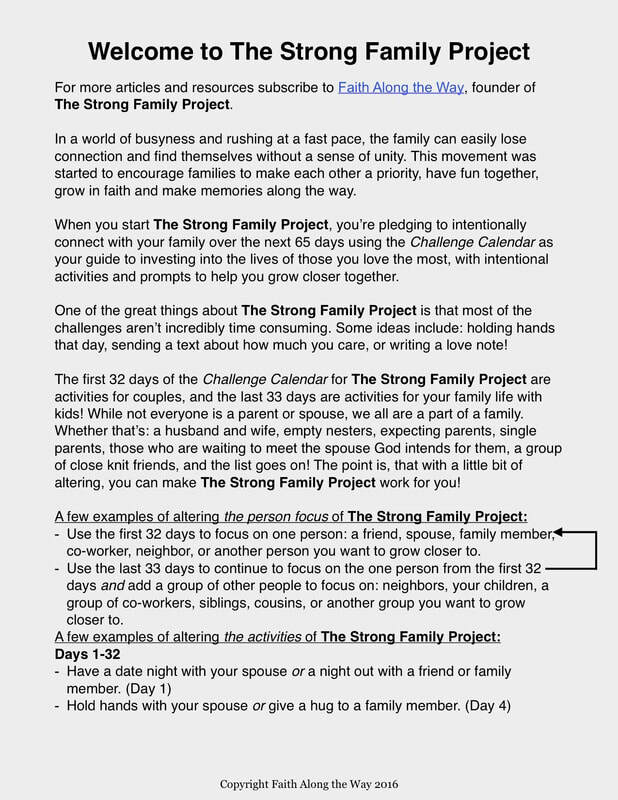 When you start The Strong Family Project, you're pledging to intentionally connect with your family over the next 65 days using the Challenge Calendar as your guide! The first 32 days you focus on one person that you want to grow closer to. And the last 33 days you focus on a group of people to grow closer to! 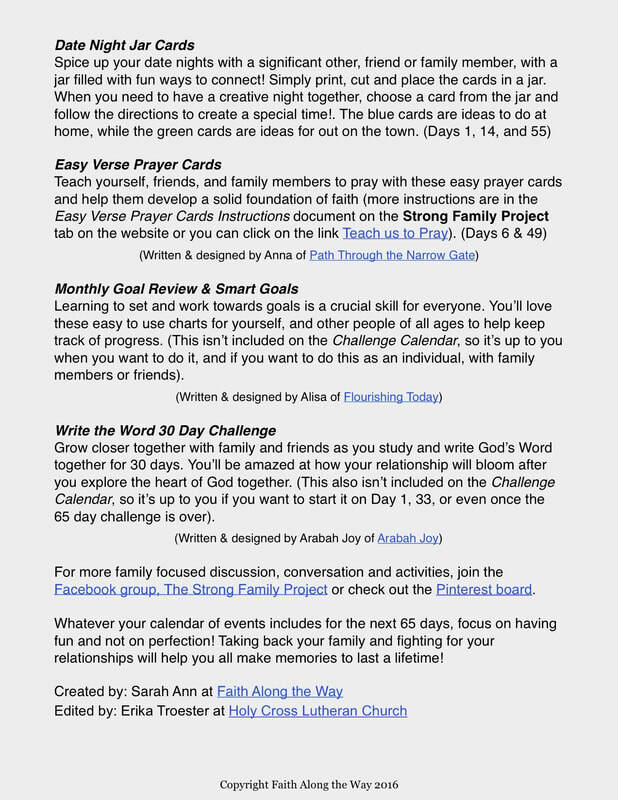 No matter what kind of family you're a part of, you can make the Challenge Calendar work for you (check out the Welcome and Intro Notes below for ideas). 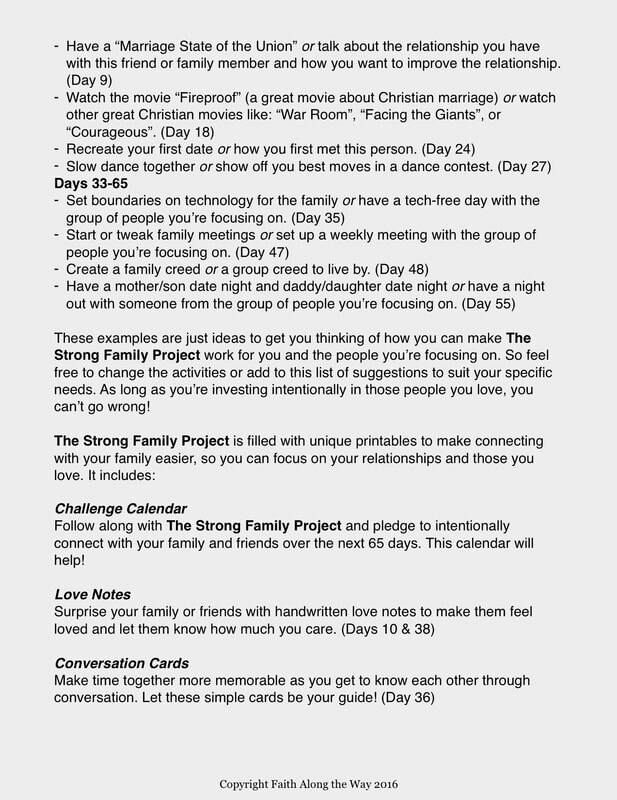 Now think of your family, who is the one person you want to focus on for the first 32 days? Whose name do you want to write on the coffee cup heart?